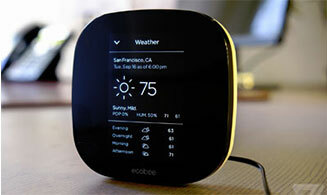 The smarter wi-fi thermostat - with remote sensors. 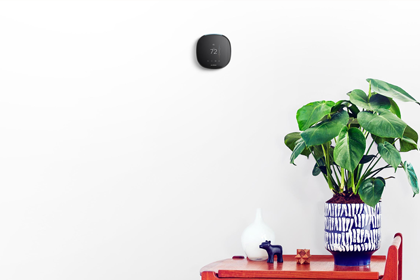 Ecobee4 is for homes with more than one room. 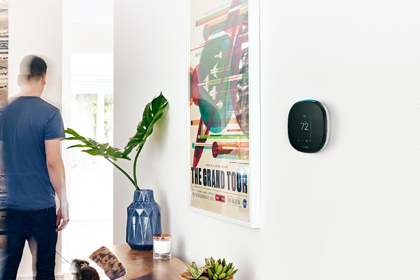 The Ecobee4 & Ecobee3 Lite Thermostats are the next generation of smart technology from the company that invented the wifi thermostat. You have better things to do than teach your thermostat. That’s why Ecobee4 & Ecobee3 Lite thermostats come with the knowledge that most people are asleep between 11:30 pm and 6:00 am. But, if you’re on the night shift, you can change your schedule in seconds. 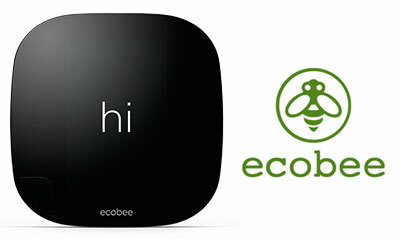 Ecobee4 intuitively understands when to turn on your heating or cooling equipment based on your home’s unique energy profile, your schedule and the weather outside allowing you to save up to 23% annually on your energy bill.